Research clearly demonstrates numerous health and social benefits for children and adults who routinely engage in recreational activities. Social bonds are improved when families recreate together and when seniors and individuals with disabilities are actively engaged in recreation activities by uniting families, encouraging cultural sensitivity, and supporting seniors and individuals with disabilities. Therapeutic recreation uses treatment, education, and recreation services to help people with disabilities, health issues and other special needs to develop and enhance their health, independence and well-being.The benefits of recreation are endless. The Americans with Disabilities Act (ADA) and other inclusion laws has advanced access to programs. Title II of the ADA applies to public entities and requires agencies to make reasonable modifications to its services and programs to make them readily accessible to and usable by people with disabilities. Many park and recreation providers are upgrading their services, programs, and facilities in order to accommodate all visitors. Advancing technology continues to create new adaptive and assistive equipment. 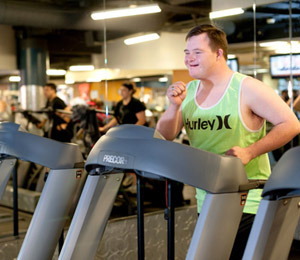 Individuals with disabilities are finding more recreation opportunities available to them. Excerpted from: The Health and Social Benefits of Recreation. Family bonds are improved by sharing leisure time and essential in promoting well-being and healthy development. Families tend to be closer and more cohesive. Numerous studies connect physical activity to reduced risks for chronic diseases and obesity. Some studies even demonstrate how physical activity can increase your life expectancy in measurable increments. Individual studies show how exercise, physical activity and even mentally recalling outdoor recreation activities can have positive effects on depression, stress and self-esteem. Two-thirds of Californians consider outdoor recreation important to their quality of life. Participating in group activities such as sports, art and crafts and social clubs fosters friendships, teaches individuals the concept of team play, positive conflict resolution, appropriate risk taking and a healthy sense of competition and sportsmanship – all important life skills.